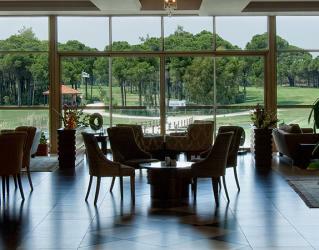 Located right in the heart of Belek, the resort offers a wonderful golf holiday with its direct access to Sueno Golf Club, harbouring two 18-hole championship courses. 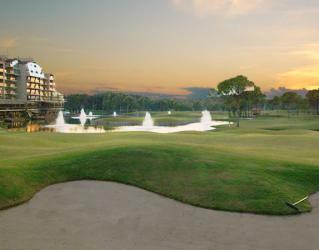 Sueno Golf is situated on the same complex as the Sueno Deluxe Hotel. With complimentary shuttle service available 24 hours, guests from each hotel can take full advantage of all the facilities on the complex such as the A’la Carte restaurants and long, winding pools at Sueno Deluxe. 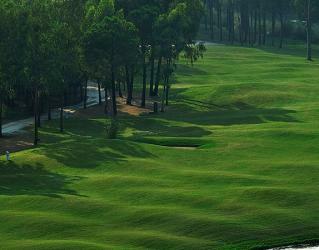 At Sueno Golf you have the pleasure of being surrounded by the lush greens of the surrounding golf courses. 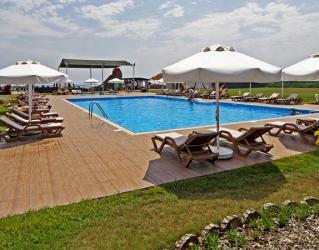 The resort has rooms and suites, furnished with elegant decor. 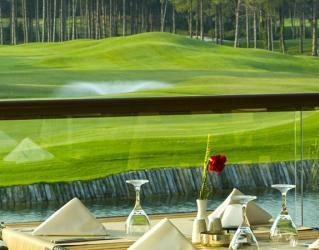 All the rooms have a stunning view; either the lush greens framing the resort or the outstanding golf courses with the fresh scent of pine trees. Rooms are equipped with amenities one could expect from a 5* resort such as plasma TV, telephone, internet, minibar, safety deposit box, bathroom toiletries, bathrobes and slippers. 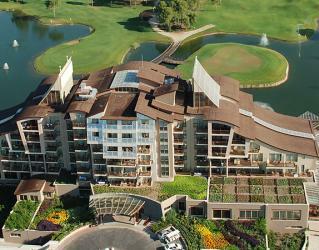 Golfers are invited to play two professional golf courses located at the Sueno Golf Club. 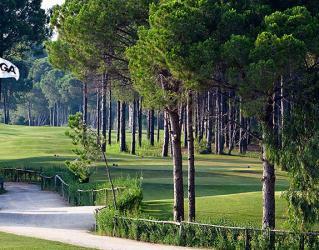 Guests of the resort have direct access to the Professional Pines and Dunes Golf Courses. 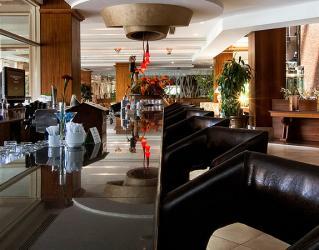 Albatros Restaurant is where breakfast, lunch and dinner are served all year round. 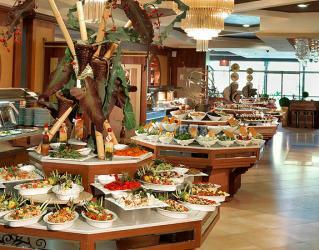 Explore magnificent tastes from Turkish and world cuisines at different venues all year long. All located in Sueno Deluxe and all decorated uniquely in its own theme, Italian, Asian, Mexican, Seafood and Turkish A’la Carte restaurants with distinctive menus by talented chefs await you here. If you are looking for a quick bite, Simit House is a fantastic choice to try local tastes. In the summer season, Barbeque and Fish A’la Carte outdoor restaurants, set in an outstanding landscape, are in service for an exclusive dinner experience. Beach Bar serving Turkish pancakes & snacks is available for delicious moments. Sueno Avenue food court with up to 16 stations, where all kinds of food are available, will amaze you with its comfy atmosphere. A selected variety of alcoholic and non-alcoholic beverages are included within the all-inclusive package, all renowned international brands. Greens Lobby Bar is open 24 hours all year round. Birdie Bar and Buggy Bar are good options during the golf season for some snacks and drinks across the golf courses. Pool Bar is in service with fancy cocktails and drinks. 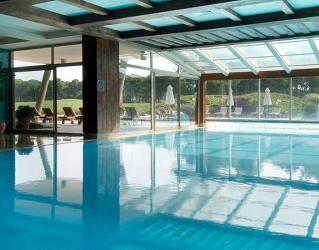 For fresh fruit juices, Vitamin Bar at the Spa Centre is available all year round. 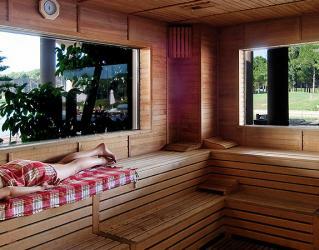 Pier Bar and Beach Bar are available during the summer season with refreshing cool drinks. The SPA & Wellness Centre at Sueno Golf Belek is set in a tranquil and elegant environment, promising total relaxation with the wide range of massages, therapies and skincare treatments offered. Here you can find the traditional Turkish Bath, sauna, steam room, indoor swimming pool and fitness centre for a complete experience. 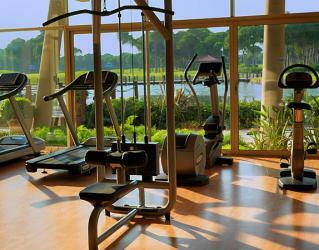 Guests staying at Sueno Golf Belek can use all of the facilities at Sueno Deluxe throughout the year; covering a show centre where amazing performances take place, daily activities such as Pilates, table tennis, boccia, darts and activities such as Nordic walking, mountain bike tours, tennis and football. The indoor and outdoor movie theatres with fun movies, a disco with professional DJ performances and themed parties are among the options for a night full of entertainment. We were happy about the trip. The hotel was good and just however I would have wanted it. 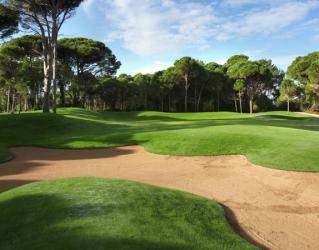 The location so close to both golf courses was really good. The hotel staff and restaurants were super friendly and happy all the time. Their response to all guests was worth praise and a big thank you. We were also happy with our room and "housekeeping" in the hotel. 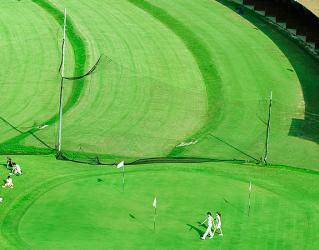 The weather was surprisingly good almost every day and we could enjoy the game on both courses. 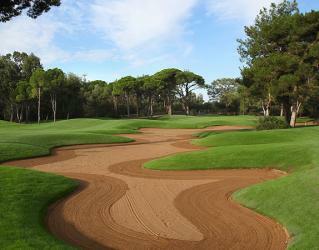 Both the Pines and Dunes courses were in good condition and were not significantly affected by any heavy rainfall during our stay. However, we had one (1) storm day and then the courses were closed for all games due to thunder storm. 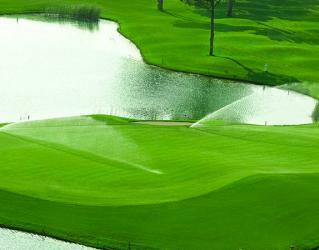 According to Bilyana's info, we should have received a Rain Check if the course is closed by Sueno Management. This became a problem because the answer in the Pro Shop was no. No Rain Check compensation can be given, and no "compensation round" is given due to the storm. I contacted our Bilyana host Bugra Uygurlu and he succeeded, after many though and though, arranging a "Rain Check" free round for us. This was supported by Suenos Management. A Big Thanks to Bugra Uygurlu for his help in the matter. You were also a little worried about the weather conditions there during our stay, but we were very satisfied and apart from the only storm day we had a really successful trip and thank you for that. Thank you Monica for another successful journey that we could make thanks to your help and your efforts for it. P.S. Greet Bugra Uygurlu and thank him once again for his help. 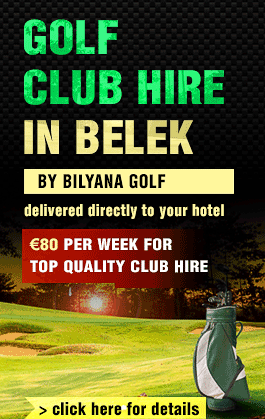 Just like to say a huge thank you to you and the Bilyana team for making our short golf trip a huge success. Your details have been passed to many people with glowing references. Thanks again! Wir wünschen Dir und den gesamten Team alles Gute und bitte weiter so. would like to thankyou for the excellent service you provided for my partner and I, even though we didn't book our holiday through you we wanted to play some extra golf, I phoned you while on holiday and you delt with everything with perfection, it made it very easy and uncomplicated which in my opinion is exactly what you need while enjoying a holiday, your drivers were on time everytime and couldn't do enough to help. (not sure what happened to the 6 ladies who got on your bus by mistake your driver was a little put out when they said they were staying at sueno and we were at letoonia :) ).